Sleep is vital to training, but little emphasis is put on it. 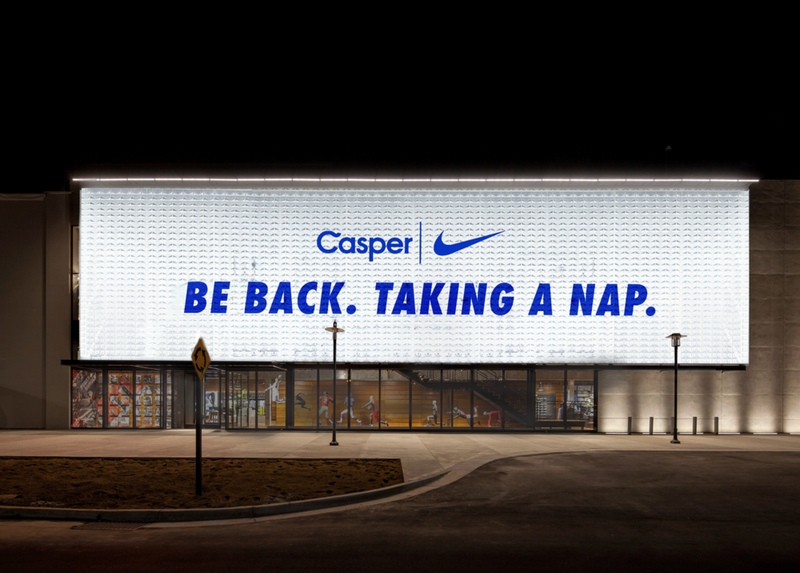 So Nike and Casper Mattresses joined forces to tackle our insomnia problem. Encouraging people to sleep so they can hit the ground running tomorrow. To start the campaign, both Nike and Casper are going to sleep. Nike store facades and both companies websites will remind you to us why it's important to take some time and catch up on some Zzz’s. Sleep is just as important as whatever activity you're doing. The Sleep Score app gives you a nightly score based on how soundly you sleep. By giving sleep a competitive spin, we encourage users to get the best sleep possible. See how your Sleep Score matches with your friends or professional athletes. Set your Facebook profile picture to change nightly. Your picture will turn on for 8 hours, every night, based on the the bedtime you set for yourself. Let everyone know you're sleeping to make your Night Visions a reality.